Anna Maria College sits on a beautiful 192-acre campus in Paxton, Massachusetts, which is at the center of New England just minutes from Worcester, Massachusetts, and about an hour's drive from Boston, Providence or Hartford. 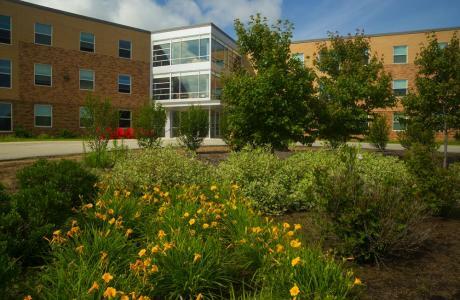 We offer state-of-the-art classrooms, a 350-seat auditorium, multi-purpose turf athletic field, full dining and catering, media services and accommodations in a brand new suite-style residence hall. 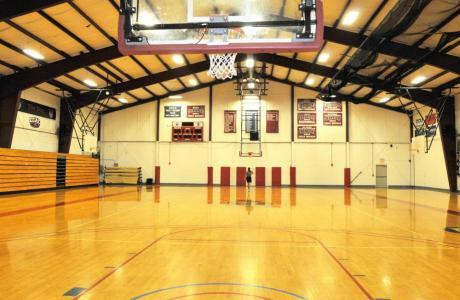 AMC provides the perfect place for a Massachusetts retreat, conference, athletic or academic camp or event. While you stay, take advantage of our beautiful serene country campus for outside meetings and activities. We offer miles of hiking trails, a pond, picnic tables, softball field, sand volleyball court, basketball courts, and a state of the art turf field and several relaxing areas where you can nestle under shaded trees or bask in the sunshine. 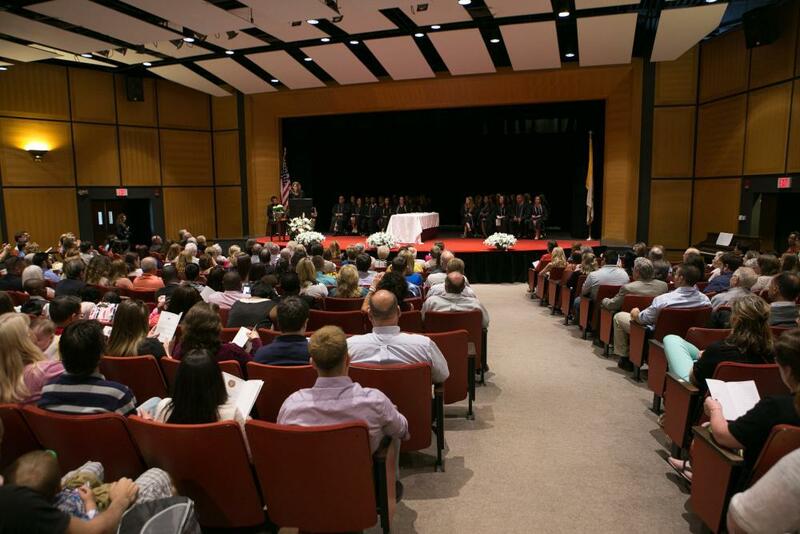 Take advantage of all that Massachussetts has to offer with our beautiful meeting and event venues. Your event coordinator will assist you with the many elements of your program coordination and site management before, during and after each hosted event. We are a year round venue for Massachusetts conferences, meetings and theatre rentals. Overnight accommodations are available from late May to early August. Full media/Audio/visual capabilities in all classrooms, auditorium and meetings rooms Wireless WiFi Three computer labs. Full service dining and catering provided with an understanding that each customer has unique requirements; therefore, AMC offers a wide range of catering/dining services that can be customized to suit your special needs. Zecco Auditorium The auditorium features technology in acoustics, sound and lighting. 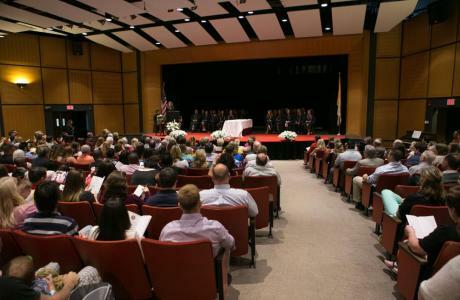 The center seats 350 people and contains backstage green/dressing room, cable television capabilities, a projection screen adjacent meeting rooms an upright piano and removable stage. 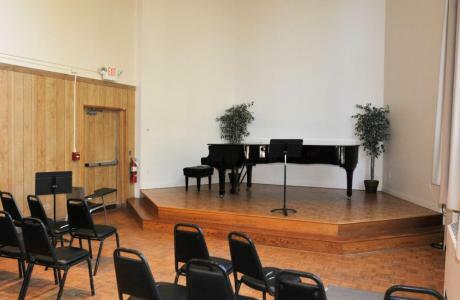 This venue is ideal for presentations, conferences, dance recitals, and theatre productions. conference room. 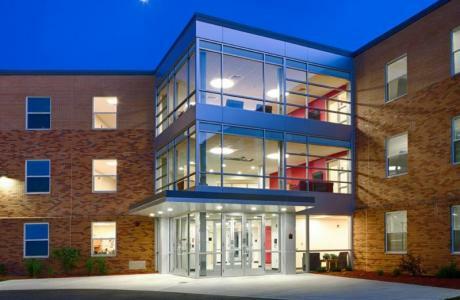 Optional technology includes projection and conferencing technology. Seats 15 around the table or 35 additional seats added to the Auditorium capacity. conference room seating 8-12. This room has wireless internet access and conferencing capabilities. This room can be utilized as a small attractive comfortable meeting room. Jacques Boardroom This room can be set up boardroom style fitting 24 chairs around the table or auditorium style seating 75-100. This room also may serve as a room to hold a classic style reception. 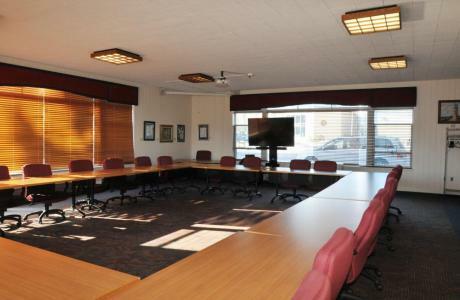 The room is equipped with a computer and projection screen and has conference call capabilities. Foundress Room This room can be set up auditorium style to fit 50 or tables and chairs for 24. The room is equipped with a multimedia cart including a 55” LED screen, computer and video conferencing capabilities. 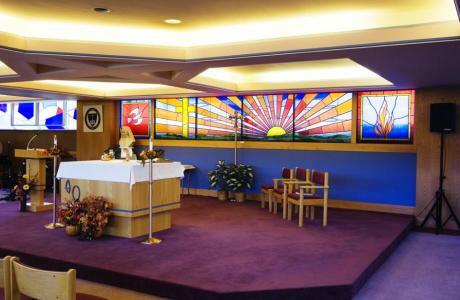 Madore Chapel A beautiful chapel surrounded by stain glass windows seating 167. Five classrooms Classrooms with state of the art technology with a variety of set ups (tables/chairs, seminar style as well as classic classroom set up. 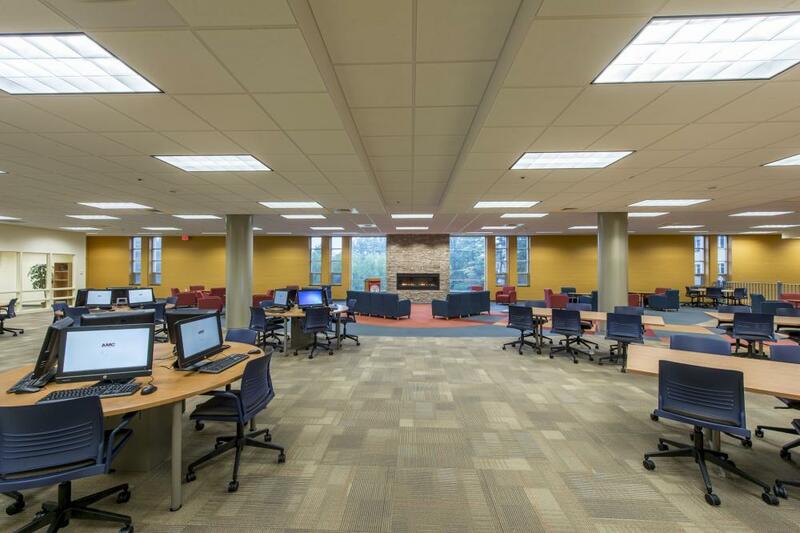 The classrooms include SMART Boards, instructor stations and wireless internet. Classrooms can be opened up to make larger spaces. Lecture Hall This room features three 55” LED screens, an instructors station and seats 60 with wireless internet. Information Commons This venue is an attractive spacious open concept meeting space with a fireplace featuring thirty computer terminals computers. This area is surrounded with small conference rooms, media and computer labs and a seminar room. Seminar Room This room features 24 chairs and 10 rolling tables with state of the art technology including two 55” LED screens, instructor stations and wireless internet. Graphic Desing Lab A Mac lab featuring fifteen 27” Mac computers with the latest complete Adobe Creative Cloud software. MIDI LAB This MIDI Lab has eleven computer stations. Computer Training Lab This lab features 25 computers, Arc GIS, MS Office, printing and full internet capabilities. A 55” LED Screen with instructor station. (2) Media Conference Rooms These Media rooms feature 55” LED screens, computer and conference call capabilities as well as white boards. Seats 6-10. Computer Lab This lab features 21 computers with wireless internet and printing capabilities. Saint Joseph's Hall	 St. Joseph's Hall has multiple classrooms and science, forensic labs with state of the of the art technology. Five Classrooms which can be used as break out rooms includes state of the art technology with projection capabilities and instructor stations with a variety of set ups tables/chairs, as well as classic classroom set up. Classrooms seat 20-30. Miriam Hall	 Miriam Hall houses the Payer Concert Hall with a full grand and an upright piano seating 80. Also in Miriam Hall there are seven music practice rooms with pianos, one with a drum set and an ear training room. 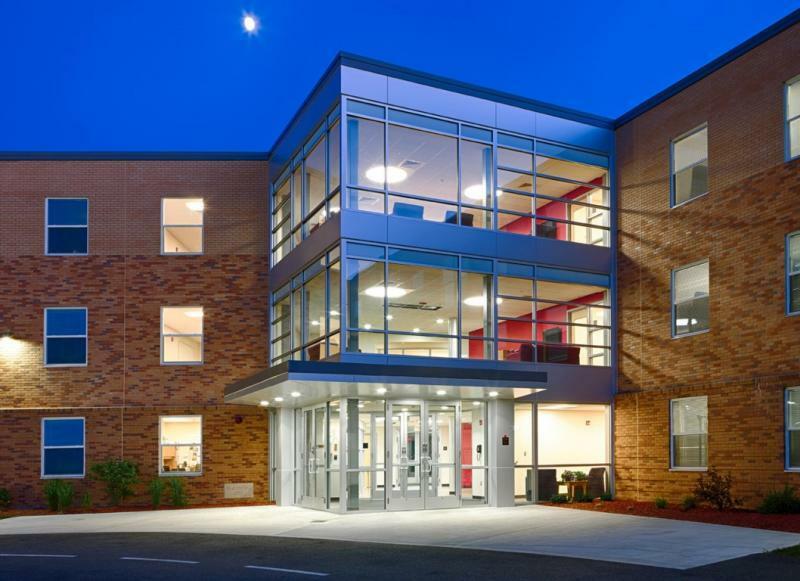 Two classrooms, seating 10-18, one featuring an upright piano and smartboard technology and the second with two impressive baby grand pianos. The Art Center	 The Art Center adjoins Miriam Hall and contains an art gallery, two studios and a classroom seating 15-30 with an Epson Bright Link projector. The Fuller Activities Center	 The Fuller Activities Center features the gymnasium in the activities center which has wireless internet capabilities, and seats 550 in the bleachers 720 with tables and chairs or 1260 standing room only. 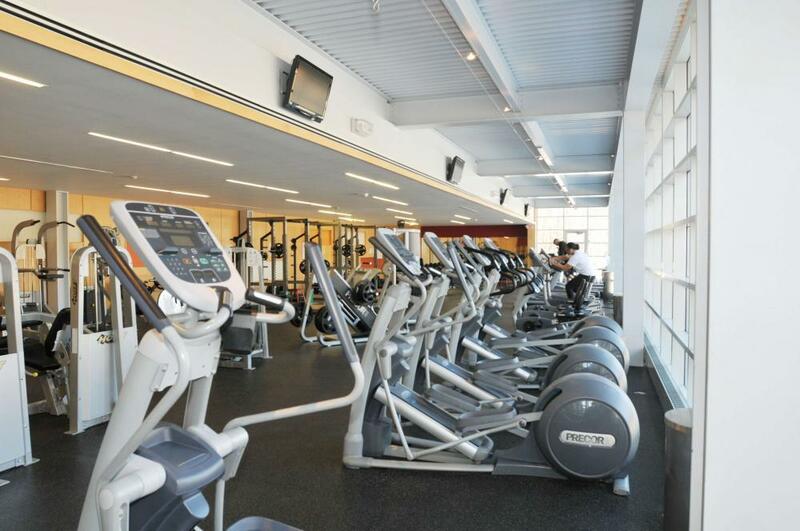 The Fuller Fitness Center houses a fully equipped fitness facility for aerobics and weight training. Our exercise equipment includes treadmills, exercycles, lifted elliptical and stair climbers, along with free weights and a multiple universal machines, as well as three squat/bench stations, a complete universal machine as well as several hoist machines. There is also an all-purpose room with a television and DVD player which can be used for exercise or dance classes. Located outside of the Fuller Activities Center is a sand volleyball court. The culinary experts at SAGE Dining Services® will make your event a resounding success. SAGE is experienced in providing elegant, innovative catering options that feature fresh, locally sourced cuisine for everything from intimate weddings, to upscale galas, to trendsetting conferences. Our Team will create a vibrant, flavorful menu that accommodates for an array of dietary needs and preferences, and they will deliver it with a degree of precision and panache that will make your event unforgettable. Choose Anna Maria College and SAGE for events distinguished by flavor, finesse, and flawless presentation. 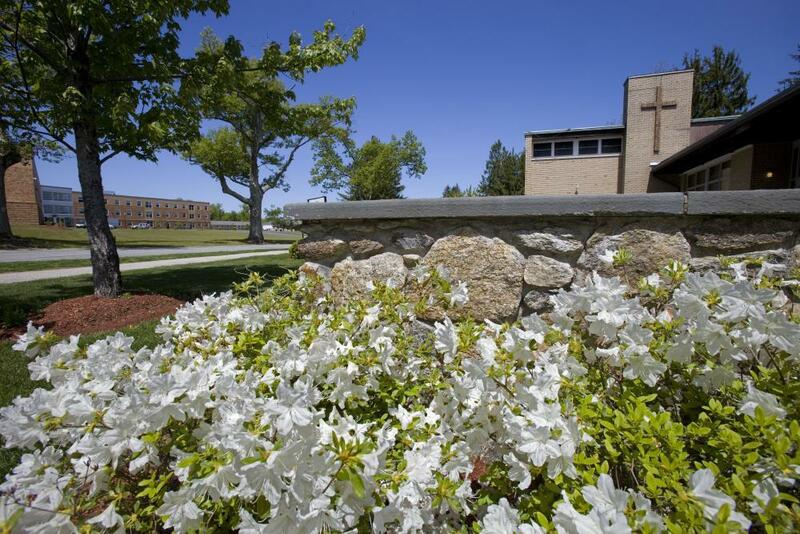 For further information, please contact Ann Murphy at 508-849-3291 or amurphy@annamaria.edu. The main Dining Hall is located in the upper section of the Bishop Flanagan Campus Center and seats between 275-325 banquet sytle. 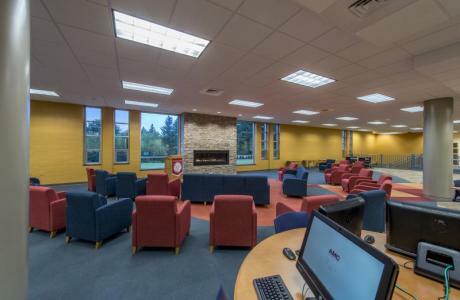 The dining hall is equipped with televisons, a sound system and wireless internet which can be used for slide shows, and presentations for lunch or dinner meetings and group programs and conferences as well as receptions and dances during the summer months. The Hub is located in the lower level of the Bishop Flanagan Campus Center and provides a more relaxed casual dining experience. There is a pub, game room, lounge featuring televisions, pool tables, ping pong and a fooseball machine. This is a great location for free activity, social gatherings or to host an open mic night or a coffee house. Seating is between 65-125. Public Safety	 All Public Safety Officers are employed by the Paxton Police Department and are committed to maintaining a safe enviroment. All of our guests shall feel safe knowing that our campus is patrolled 24 hours a day, seven days a week. Technology Anna Maria College’s facilities are equipped with the latest technology. Our classrooms and meeting rooms contain a variety of SMART Boards, LED screens, projectors, screens and instructor stations. Several rooms have conference calling capabilities and the entire campus has complimentary Wireless Internet. We have computer labs of various sizes available. Our Information Technology department will be happy to assist you with all of your technical and media needs.